The 2017 Hyundai Santa Fe Sport is here, and Hyundai of Muskoka in Huntsville is your destination for new and certified-used Santa Fe Sport models. 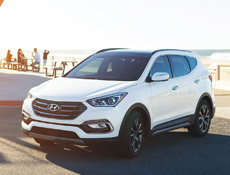 This year’s Santa Fe Sport provides leading fuel economy and performance, while preserving last year’s defining features including standard Blind Spot Detection (BSD), an available hands-free liftgate system, and automatic up/down front passenger windows. Incredible fuel economy is a reality thanks to a lightweight body and advanced engines including a 2.4L or 2.0L engine with Dual-CVVT in the Sport. When equipped with available all-wheel drive, the Santa Fe provides excellent capability on or off the road. Hyundai of Muskoka has a selection of new and used Hyundai SUVs available. Visit our used vehicle department for our premium preowned selection and great deals on second-hand Santa Fes. We provide sales and service to Huntsville, Burks Falls, Bracebridge, Haliburton, Parry Sound, and North Bay. Get the best price at Jason Armstrong’s Hyundai of Muskoka! One of the defining features of the new Hyundai Tucson is its unique powertrain. For 2016, both of the Tucson’s engines feature Gasoline Direct Injection (GDI) for proven efficiency and power. The ultra-efficient new 1.6L Turbocharged GDI engine boasts 175 hp while the 2.0L engine guards the coop at 164 hp. The 1.6-litre GDI engine is paired with a 7-speed dual-clutch transmission and manages 8.4L/100km on the highway and 9.9L/100km in the city (FWD). The 2016 Hyundai Tucson interior boasts an expressive style with an eye-catching design that incorporates futuristic elements like an X-design dash with an available 5.0-inch colour touchscreen navigation system and LCD with rearview camera. The interior is as intelligent as it is stylish, offering as much as 1,754 liters of cargo space to carry the largest loads. And you will be entertained by the available 450-watt 8-speaker audio system with auxiliary input and available voice recognition and Bluetooth hands-free. 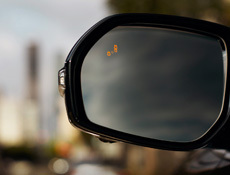 Get your Hyundai Santa Fe Sport parts and accessories at Hyundai of Muskoka with great prices on everything from electric door mirrors to rubber floor mats. We are also your destination for Santa Fe tuning with custom accessories you’ll love. 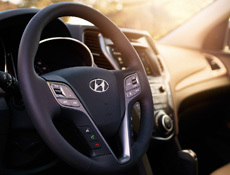 And whether you need an oil change, scheduled maintenance, or a part installation, you can trust our Certified Hyundai Service Department to get the job done right.